I am Marie, daughter to Valerie, granddaughter to May and Annie, mother to Fraser, Rose and Rowan. I love a great view, good company, the natural environment, music, dance, architecture, art, the garden, travel, discovering new dishes, beautiful organic oils and old fashioned roses. I have supported mothers with young families for as long as I can remember. I was born in England in 1979 into a family who valued the special support that women can give other women. My Mother, Grandmothers and Aunts were and are inspirations to me in how I raise my family today. I have travelled internationally gaining skills and knowledge of traditions in the support of women. I moved to Scotland to be a postgraduate at the University of St Andrews when I was 21, a while back now! I fell in love with Scotland and with my husband. We have three children together. Fraser (2009), Rose (2011) and Rowan (2013). I have experienced both hospital and home birth. I had enjoyed a career in Museums, Art Galleries and managing historic estates before I had my eldest. When I was expecting him I realised that the long hours and living within a Castle wing at my work was not going to be conducive to a tranquil and happy family life so we bought and moved into our own home in Fife. My mother and Grandmothers had passed away many years previous meaning that I keenly felt the isolation that new mothers often feel. I was aware that as I left the hospital that I felt like a newborn myself in some ways. Life would never be the same. Although I had midwives who I saw for a 10 minute slot every few weeks checking my blood pressure and a different set present when I gave birth I knew that this special time would have been a much better experience for myself and my baby if I had someone else professional in addition to support me from start to finish, someone I could trust that would look for ways to make it the best it could be, even to the smallest detail. Friends and family have their important roles yet to have a good doula is really quite special, and they can support the entire family. I am a qualified and insured Advanced Mizan Abdominal Therapy Practitioner. 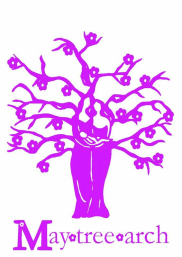 I am a member of the Scottish Doula Network. I am a Red Tent Doula, part of a network which support families throughout the globe. I have Bengkung Wrap training, Nutritional Therapist including supplements (Professional Diploma, Level 5), Diploma in Aromatherapy, Anatomy & physiology level 3, Reflexology level 3, Working with Muslim Parents training, Reiki level 3, Effective Intervention training, RHISS Food Hygiene, Teaching English as a Foreign Language, Risk Assessment training, Dealing with Challenging Behaviour Training, Interpretation and Access for the Visually Impaired Training, HSE First Aid, NHS infant feeding (breast and formula) peer support training. I have a full Disclosure. I believe that women deserve the best of health and that they want the best for their babies. There is no set "right way" to give birth. I fully support informed choice. The pregnancy, birth and postnatal period is not a "one size fits all" type of thing. Each woman and each child can be completely different and that is fine. What was right for me in my births might not be right for you and I support a woman in her own unique way. If you want more information about something such as a procedure, technique or product then I will endeavor to find that information for you and support you in you making your own informed choice. I understand that familar nonjudgemental support throughout pregnancy, birth and in your postnatal time is very important. The secret isn't that birth is painful, but that women are strong. Birth is a triumph. A woman's womb deserves the greatest of respect and care. In learning ways to support pregnant and postnatal women I realised that the techniques can be used to benefit any women from their first period through to post-menopausal towards better womb and digestive health. Do get in contact to book in to the Maytreearch Clinic times for a lovely appointing using organic oils via the contact page here or via my mobile on 07791972390. Please enjoy the track whilst you look through the album.